The holidays are the time to don our gayest apparel, supposedly, but the song never gives us any particularly specific advice. 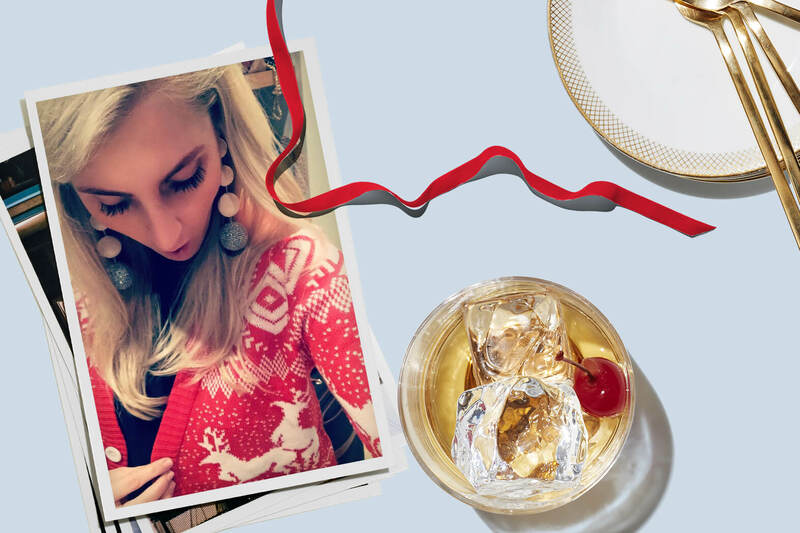 For this year’s holiday parties—whether they’re with your coworkers, your extended family, or your chosen family—we consulted some of the best-dressed and best dressers we know for outfit ideas. Moda Operandi walks the best of the season off the runway and into its well-appointed online shop, so we asked its editor, communication director, and general style ambassador, Hayley Bloomingdale, for her best advice. A good rule of thumb for an office party is to present a cleaned up version of your everyday look. This isn’t the time for an experiment—imagine the horror of a wardrobe malfunction in front of the accounting team! Personally, I’d recommend a great blazer with jeans, a smart (but low) heel, and add a velvet or sequined bag to up the festive factor. 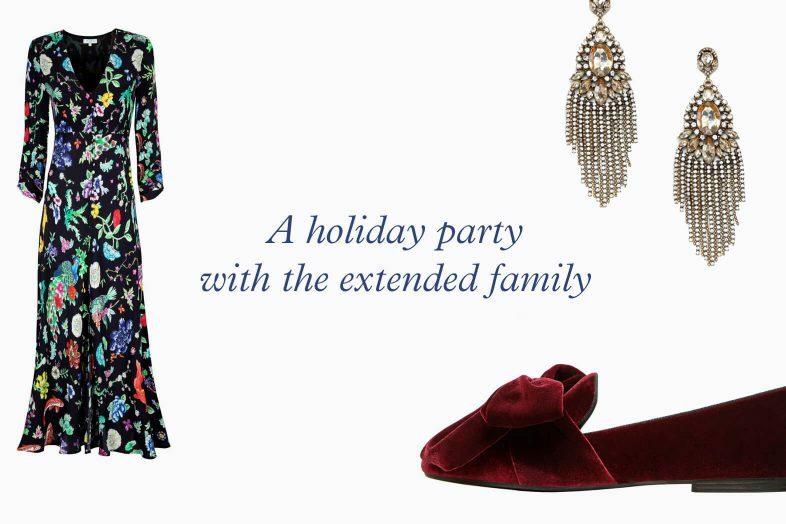 A holiday party with the extended family? Comfort is key: you want room for extra slices of pecan pie, and to be able to chase the little cousins, nieces, and nephews—the kids’ table is where the action is. That said, go a bit more formal than sweatpants, unless you’re eager for Uncle Gary’s questions about your employment and marital status. I’d go with a colorful and flowy dress, a cozy sweater, flats, and statement earrings. A great piece of jewelry is an ideal way to make it look like you’ve put in a lot of effort without actually having to put in any effort whatsoever. Now this is the time to go all out. Sequins, velvet, lace: any or all of these are your best bets here. Mix patterns and materials! A sequined blazer or heel, or gold earrings, takes a velvet dress from normal to Noel instantly! My look would be a sequined dress, a velvet smoking jacket, and a killer pair of stilettos. For anyone with a marathon evening in front of them, what’s a style essential that’s secretly super comfortable? The key to sartorial stamina is all in the shoes: nothing kills a party vibe like a heel blister. A great mule or low heel in velvet is party-ready and super comfy. I’d pair it with a long slip dress or a jumpsuit—both are polished, simple, and take only one zip. 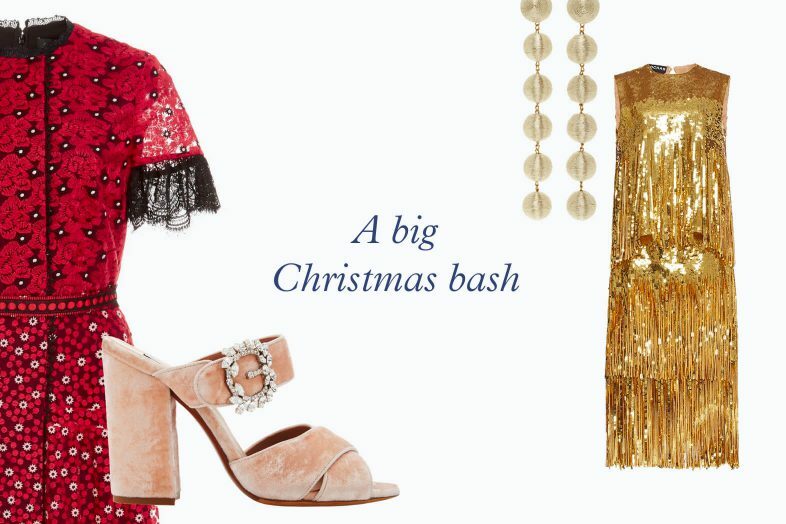 What’s something to wear that has a lot of “holiday” spirit, but isn’t kitschy or corny? A common misconception is that red and green are an ideal pair for holiday dressing. In truth, these colors only look good on wrapping paper or cookies; even Santa sticks to a red and white—and he invented Christmas chic! Believe it or not, I’m a big fan of novelty headbands with portable mistletoe and a naughty Christmas sweater. I picked up a great one last year that featured two reindeer having a… romantic moment. It was a real hit on Christmas Eve! But: since you asked for something that’s not kitschy, I think a Fair Isle sweater is a great choice. They’re all the rage right now, but they’re quite timeless—for the holidays and for cold weather, generally. Wear us out! Host a holiday party in perfect taste—just pick out one of our invitations.